Beautiful Italian inlaid design. Two wedding rings on Pillow to commemorate the wonderful day. 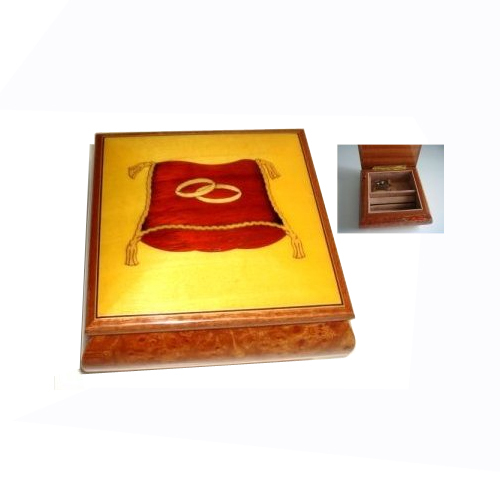 5 1/2" square box with beige velvet interior. Lift the lid, see and hear its Reuge movement "on the Wings of Love" or the available tune of your choice from our 18 note tune list. It features a ring bar and has little brass feet.